Confused About Vitamins? 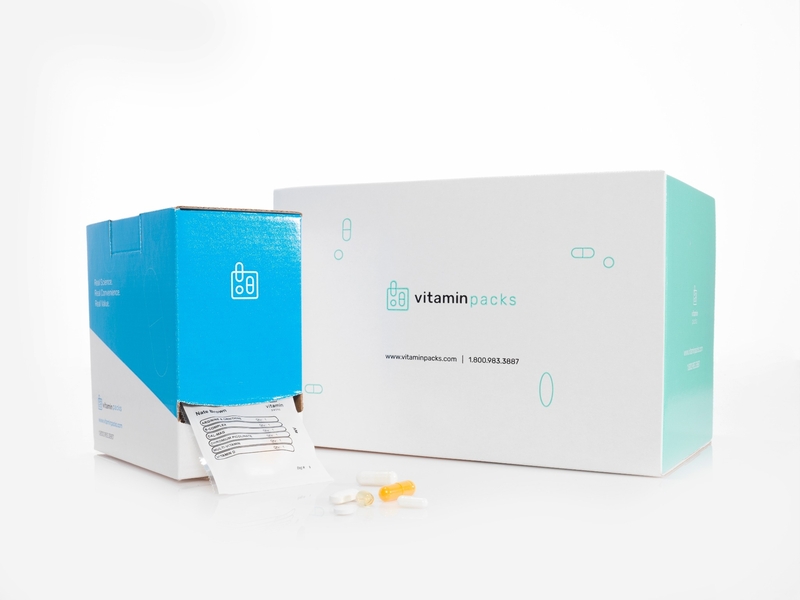 VitaminPacks.com Personalizes Your Vitamins Based on Research. Partner Marketing @ Dealspotr. Bargain shopper extraordinaire. Sloth enthusiast. Your personal trainer is always telling you to do two more reps, your fitness tracker congratulates you after reaching your goal of 10K steps a day, and your nutrition app gives you a complete nutrient breakdown of every bite you eat. In today’s tech savvy world, our health and wellness has become increasingly personalized so why shouldn’t our vitamins also be tailored for our individual nutritional needs? After a career spent in the natural products, health, and nutrition industry, Brown could see there was a real and immediate opportunity to disrupt the consumer supplement buying experience. Research proved that when it comes to buying vitamins and supplements, despite being a $37 billion a year industry, consumers are generally confused as to what they need. This lack of knowledge coupled with an overwhelming number of products available can be a frustrating experience, causing some consumers to give up on using nutritional supplements long before attaining any health benefits. Brown states, “A number of factors can impact vitamin, mineral, and nutriend needs. That’s why personalized nutrition is so important, and that’s why we created Vitamin Packs. Our supplement recommendations are designed to provide only what your body needs. No more, no less.” In offering consumers such personalized service, Vitamin Packs’ goal is to provide a seamless shopping experience by providing a level of confidence, convenience, and value to their customers that can’t be found in retail stores or on mainstream online shopping sites. Along with co-founders, Tamara Bernadot, SVP of Nutritional Development and CTO Prem Thudia, Brown was first inspired to help people live better after experiencing personal health scares and challenges. 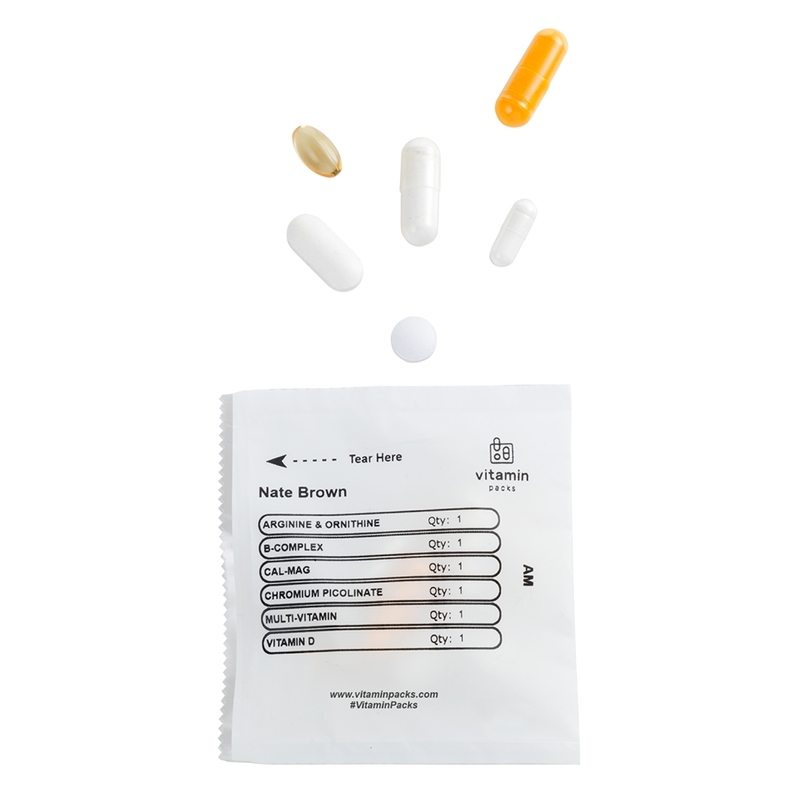 Vitamin Packs first developed its intelligent health technology in order to personalize nutrition in 1999. To create the company, the team formed a brain trust of medical professionals, nutritionists, and health experts to leverage data, science, and technology to curate customized, daily supplements based on each person’s individual nutritional needs. This kind of “precision” nutrition is what sets Vitamin Packs apart from other companies. Now, seen as a leader in the personalized nutrition market, Vitamin Packs is poised to further disrupt the wellness industry by empowering consumers to take control of their health through customized supplement choices that fit best with their lifestyle, bodies, and goals. “Vitamin Packs is focused on helping Americans who want to achieve better health through nutrition,” said Brown. “Through the use of our next-generation technology, Sage, we are able to take supplements to a new level of customization, helping to support holistic health and well-being." The company offers 70 pharmaceutical grade quality vitamins and nutritional supplements which means they are made from raw ingredients that have been tested for purity, quality, and absorption rate. All their products meet FDA guidelines for Good Manufacturing Practices and even their packaging meets hospital packaging standards. The health technology behind Vitamin Packs’ business is their proprietary algorithm, Sage, which is fueled by the collective information and advice from Vitamin Packs’ nutrition experts, peer-reviewed scientific studies, and a science advisory board of medical doctors. 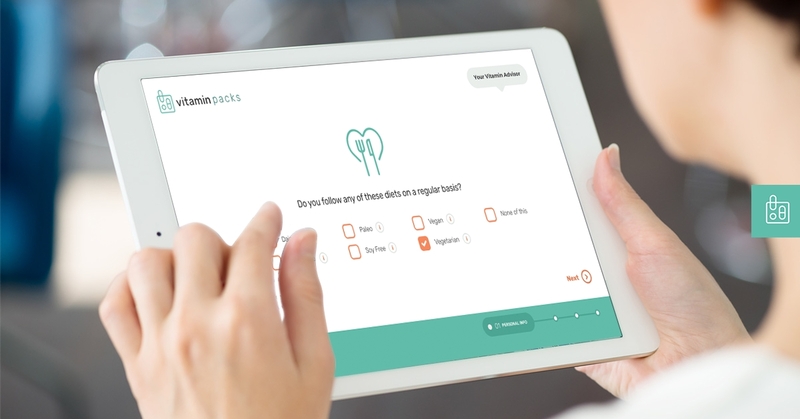 Using its algorithm, Sage is able to take the answers from each person’s health questionnaire and produce millions of unique combinations using Vitamin Packs’ list of premium products so customers can receive vitamin packs that are precisely customized for their health needs. The science advisory board monitors and evaluate the latest nutrition and lifestyle scientific research in order to ensure the accuracy of Vitamin Packs’ supplement recommendations. Michael Roizen, M.D., is the original chief wellness officer of the Cleveland Clinic and chairman of Vitamin Packs’ science advisory board. He says, “Vitamin Packs takes the guesswork out of nutrition by being a trusted wellness advisor. I’m honored to provide my medical perspective to help shape holistic health for consumers.” Ultimately, Sage’s technology is supported by decades of experience, thousands of scientific studies and pieces of data, the latest industry innovations and the expertise of nutritional professionals. Customers fill out a free questionnaire on the Vitamin Packs site, answering a series of health and lifestyle questions, including age, height, diet, sleep patterns, medications, etc. Vitamin Packs’ proprietary health technology, Sage, takes the answers, identifies each person’s most important health needs, and then reviews more than 650 potential medication interactions before recommending supplements that are personalized for each customer. You then get a price per day cost for all your recommended supplements along with a breakdown of monthly and per day cost for each product. Depending on the number of recommended supplements customers choose to add, the daily cost can be as low as $1. A 28-day supply, packed in convenient packs for daily consumption, is delivered to each customer’s door within days of ordering and, as their health needs change, each shipment can be modified. Subscriptions include free delivery, free returns, and unlimited access to nutrition and wellness news curated by Vitamin Packs’ experts in the Knowledge Center on the company’s website. The company offers a full refund within 30 days of the purchase date, no questions asked if customers are not satisfied. If you would like to stay connected with Vitamin Packs, you can follow them online at Dealspotr, Facebook, Instagram, and Twitter. The Dealspotr Marketplace is an upcoming new platform that better connects merchants with influencers and shoppers. Are you a retailer? Claim your page on Dealspotr and start promoting exclusive deals, control your page presence, and interact socially with our shopping community. If you would like more information on claiming your merchant page, or to how to become featured in one of our running blog series, please feel welcome to reach me at jimmy@zipfworks.com. This guide was published on August 23, 2017, and last modified on August 23, 2017.